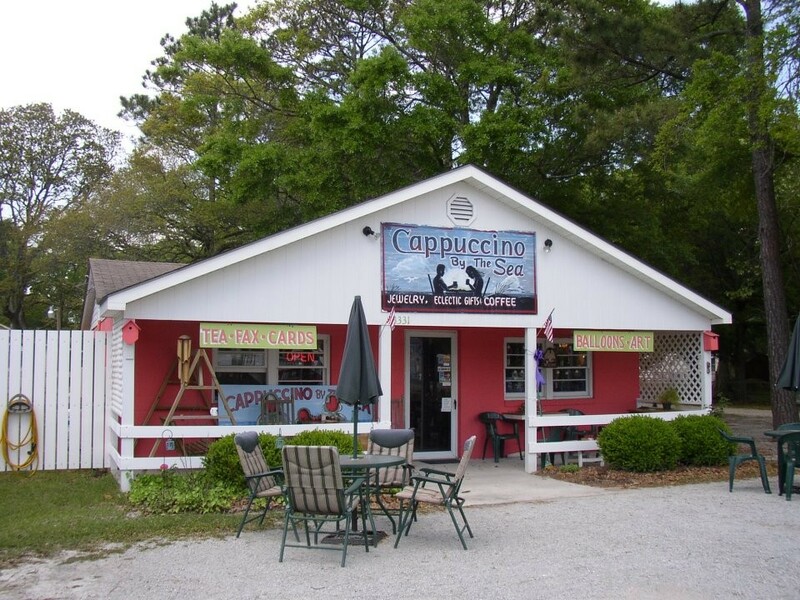 Quaint little house with seating inside and out to sip delicious coffee, tea, wine and cheese. Friendly atmosphere with music. Internet is available, also. Your computer or mine. Homemade cookies and muffins and cappuccino and chai tea-they’re the best! Gifts, souvenirs, pottery and canvas & pottery to paint.